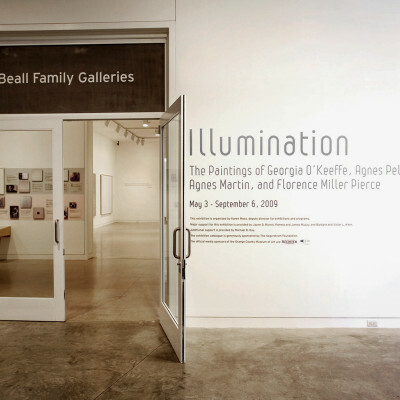 Georgia O’Keeffe, Agnes Pelton, Agnes Martin, and Florence Pierce is the first exhibition to bring together the work of these four important American women modernists. 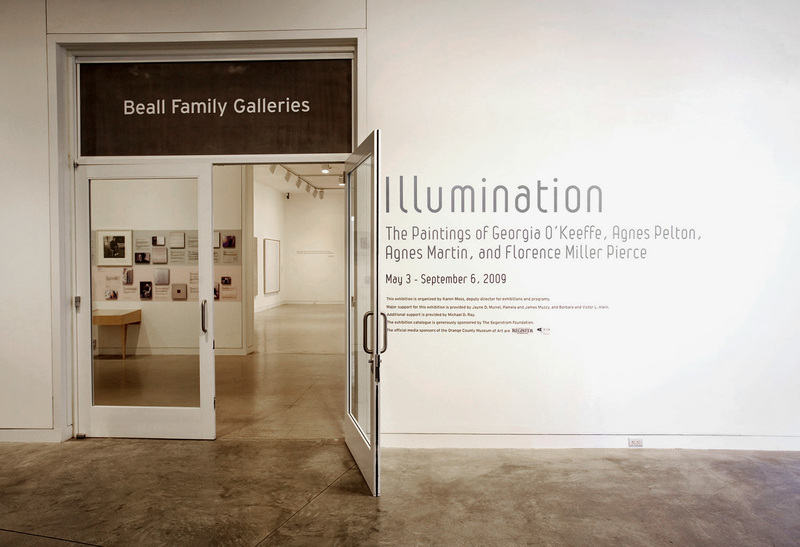 O’Keeffe (1887-1986) and Pelton (1881-1961) were born six years apart in the 1880s, while Martin (1912-2004) and Pierce (1918-2007) were born six years apart in the 1910s. 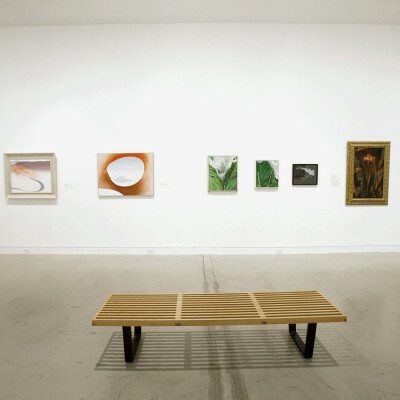 All four women made indelible marks on modernist art of the 20th century— O’Keeffe and Pelton created distinctive images using lush, organic forms, while Martin and Pierce produced signature geometric works of sublime simplicity. 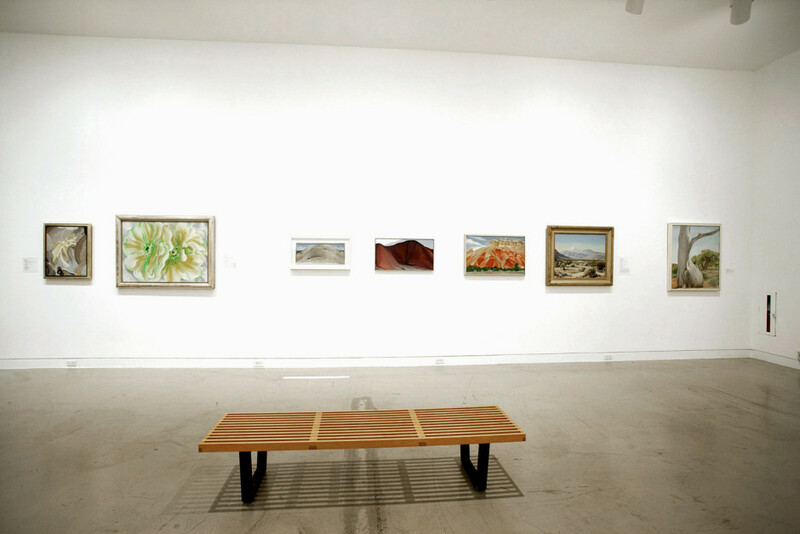 All four drew on nature as their primary focus, inspired by arid and spare desert environments: O’Keeffe, Pierce and Martin, lived much of their lives in New Mexico, while Pelton resided in Cathedral City near Palm Springs, California. 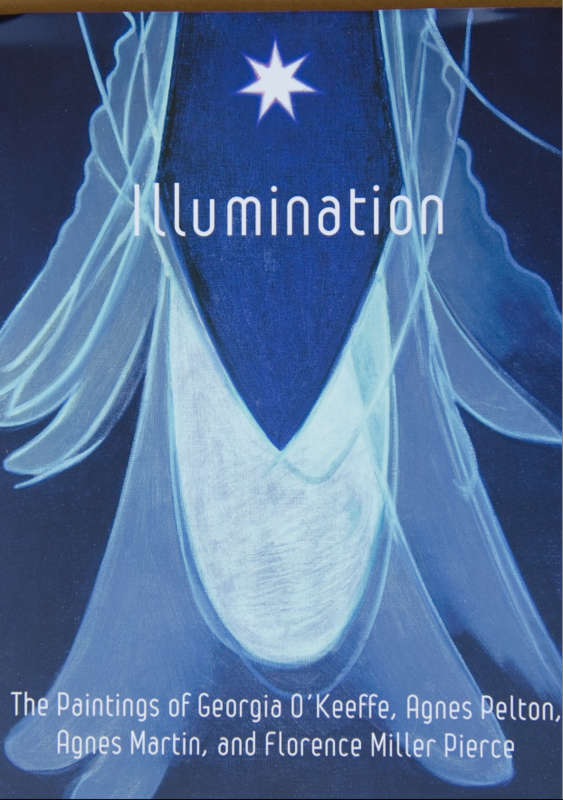 Through their keen “sense of place” they each developed vocabularies with varying degrees of abstraction, but the four artists shared an interest in illumination and a desire to convey transcendence and spirituality in their paintings. 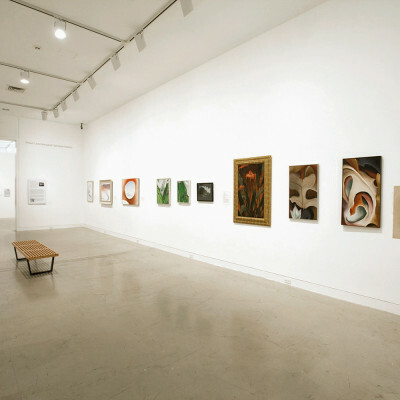 O’Keeffe and Pelton, who both studied in New York City and were influenced by the teachings of Arthur Wesley Dow, made figurative drawings and paintings early in their careers but then, inspired by a mutual interest in early modernism and Kandinsky’s Concerning the Spirituality in Art, started to explore abstractions of nature beginning in 1915-16. 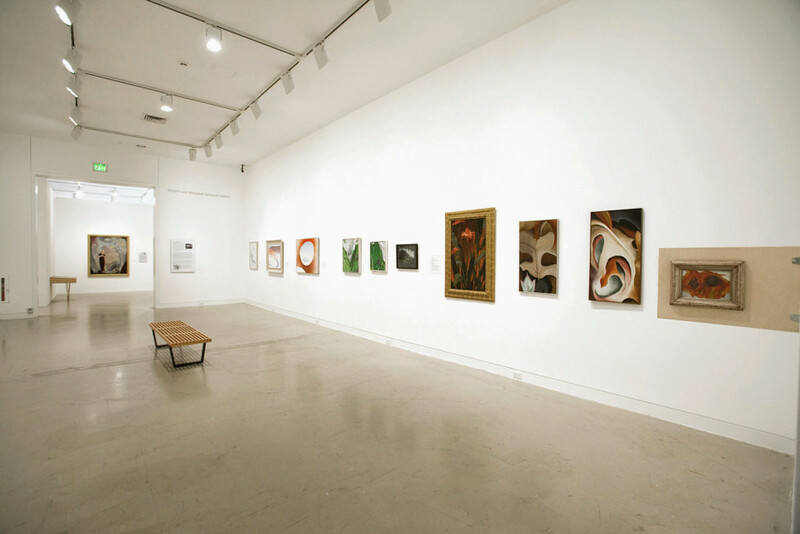 From the mid-1920s to the 1930s, Pelton and O’Keeffe developed visual vocabularies of organic forms in lyrical paintings that hover between abstraction and representation. 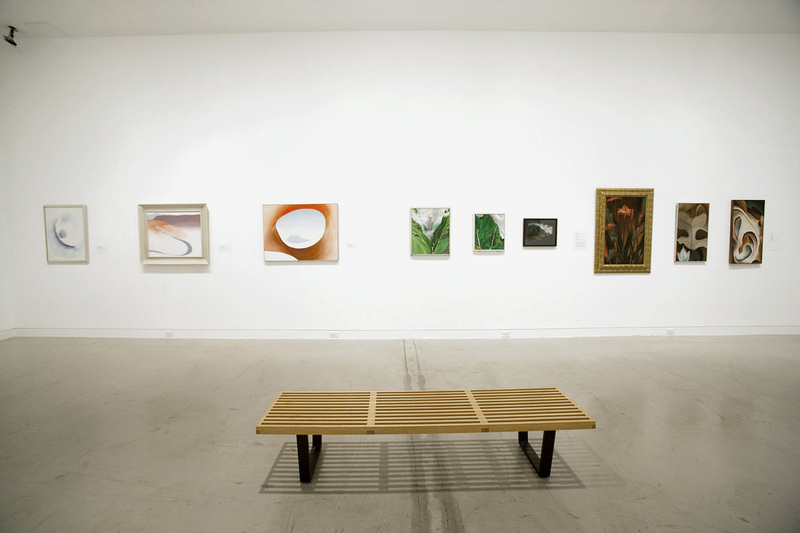 With their keen reverence for nature, sense of place, and spirituality, Pelton and O’Keeffe produced organic abstractions and visionary landscapes bearing striking similarities. 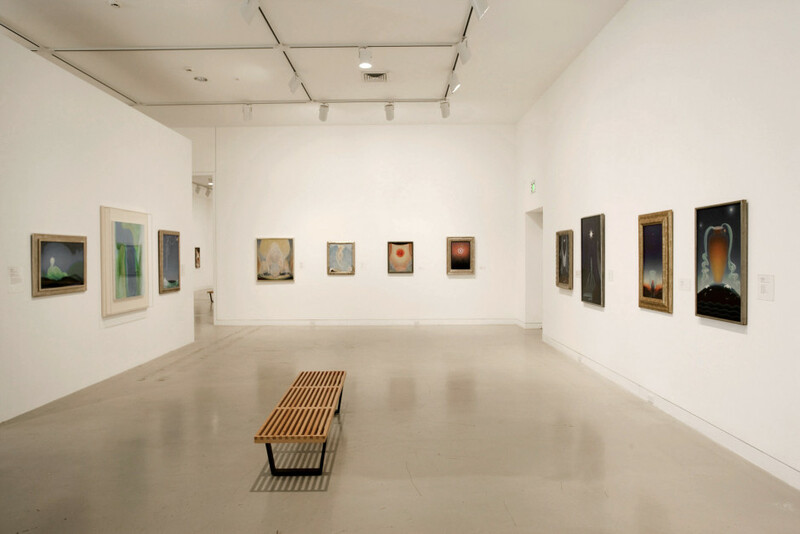 Raised as Christians, both artists became keenly interested in Theosophy, a religious philosophy that sought a mystical or spiritual reality beyond the material world. 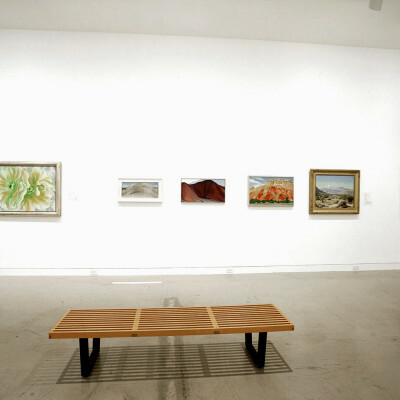 Along with Pelton, Florence Pierce had a brief alliance with the Taos Transcendental Painting Group, which she joined after moving to New Mexico at the age of 18. 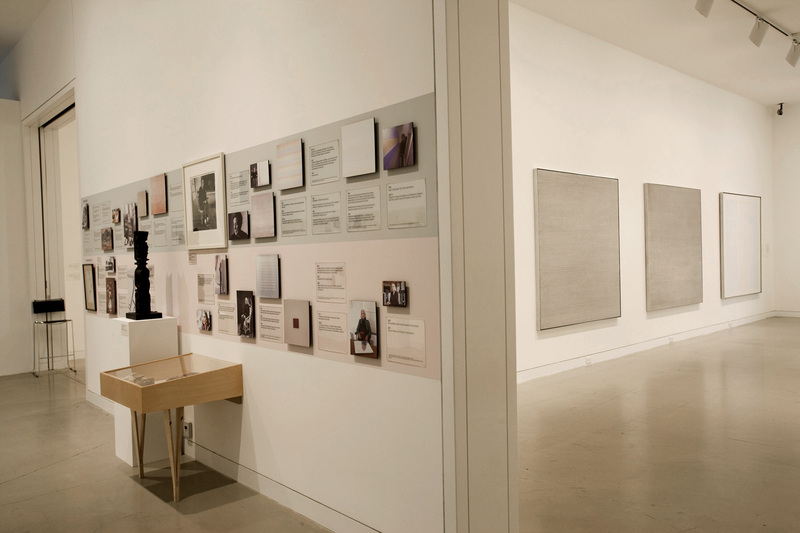 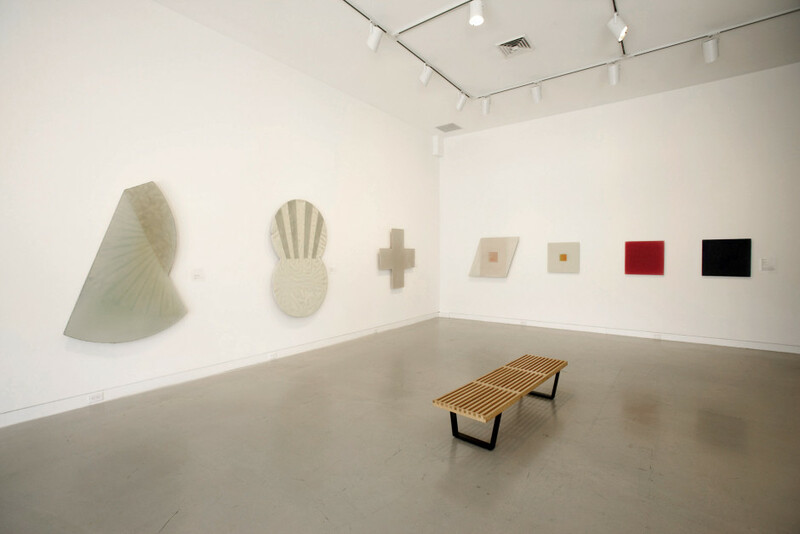 She went on to explore a variety of media throughout her career, until a chance drop of liquid resin onto a piece of aluminum foil in 1969 led to the creation of a process that would consume her for the rest of her life—layering resin and pigment onto mirrored Plexiglas to create ethereal surfaces that seemed to emanate light. 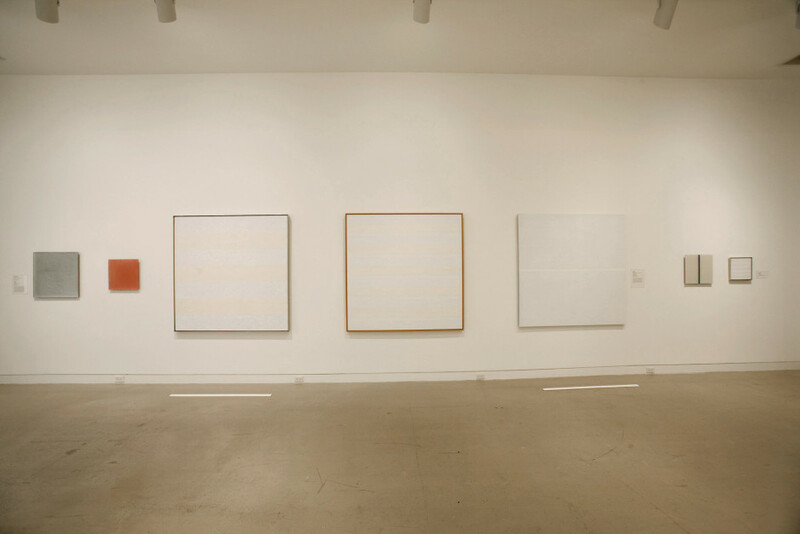 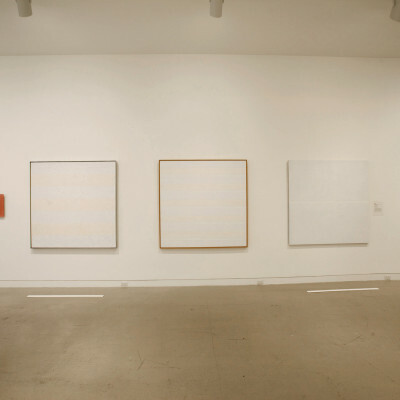 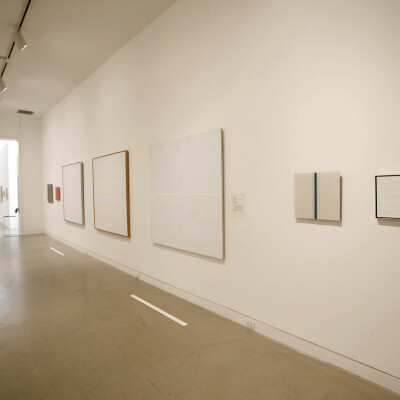 Agnes Martin, who began her career in 1950s New York as one of the influential artists reacting against the legacy of Abstract Expressionism, also developed a singular focus—extremely spare, simple grid compositions, impeccably rendered in drawings, paintings, and mixed-media works. 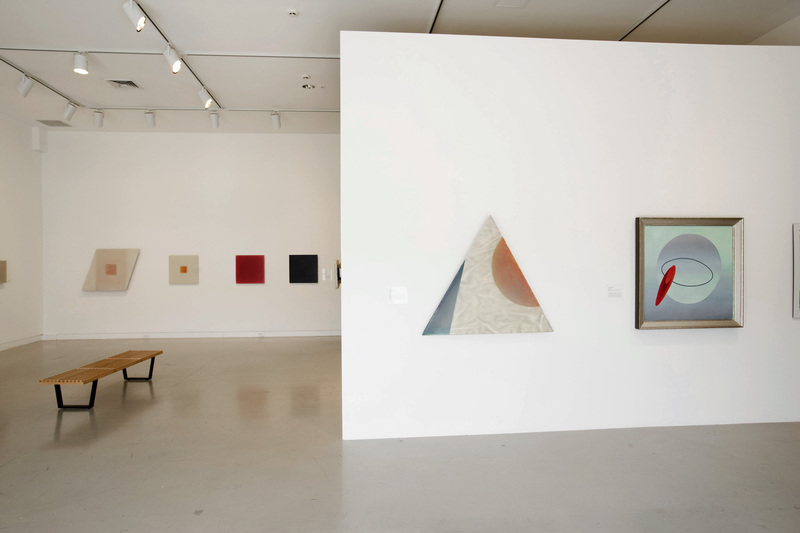 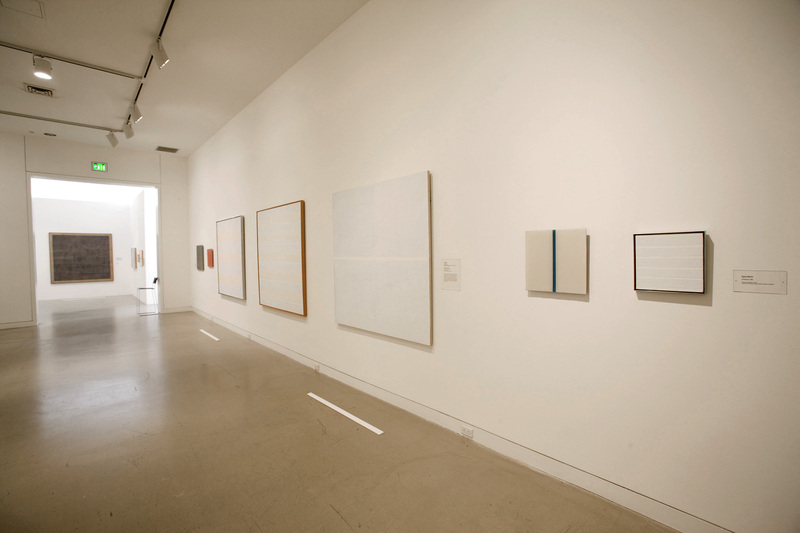 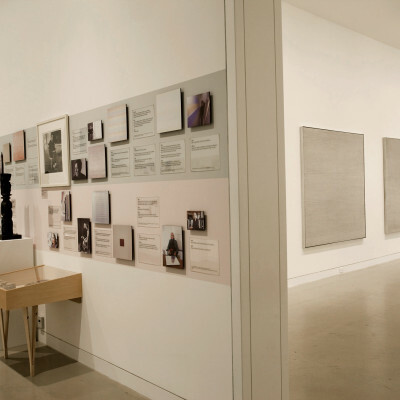 Bearing poetic titles, these apparently Minimalist works are actually evocations of nature, a primary influence for Martin since her childhood on the plains of Western Canada. 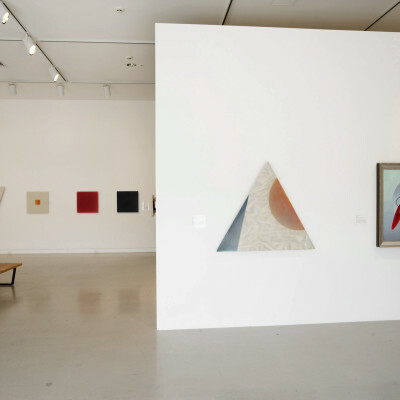 While much has been published on the celebrated careers of O’Keeffe and Martin, Pelton and Pierce—although critically acclaimed by art historians and other artists—are less well-known and deserving of more attention. 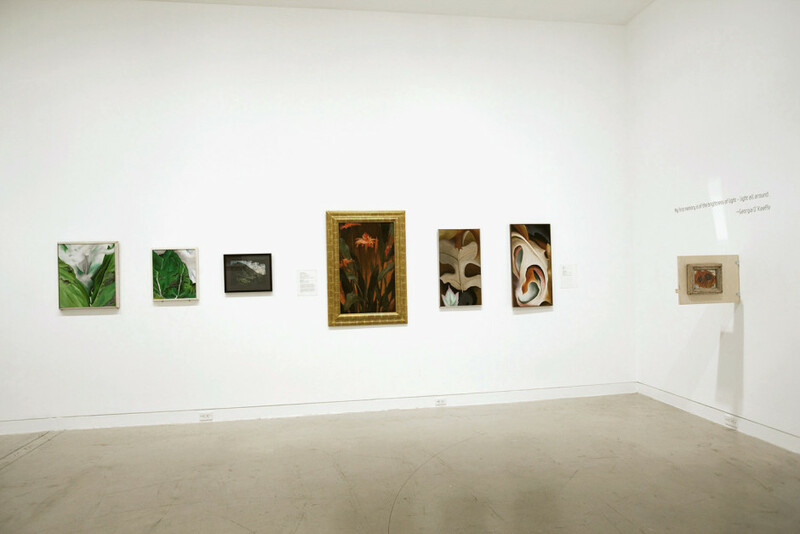 This exhibition will be an unprecedented opportunity to document for students, scholars, and the general public the interconnections among these four remarkable figures. 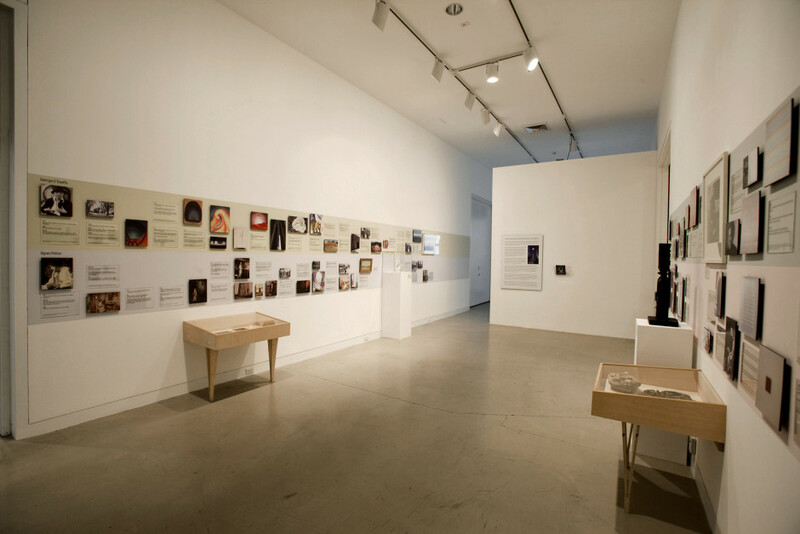 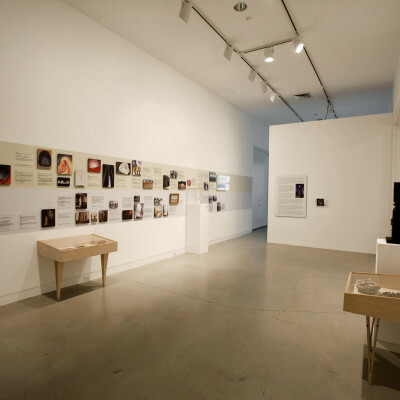 An Introductory Gallery provided an over-arching introduction to the four artists, including a biographical chronology/timeline embedded with both works of art and photographs; a room for viewing video documentation; and a reading lounge. 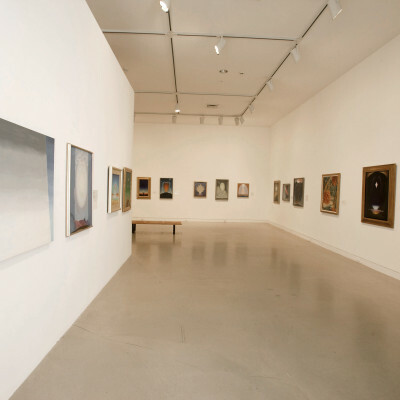 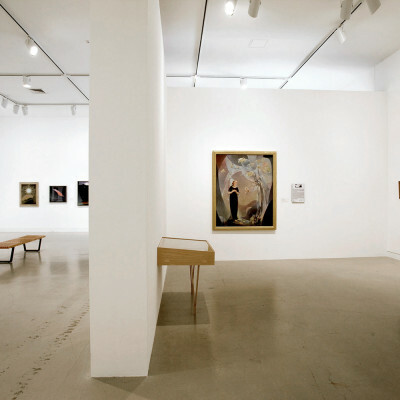 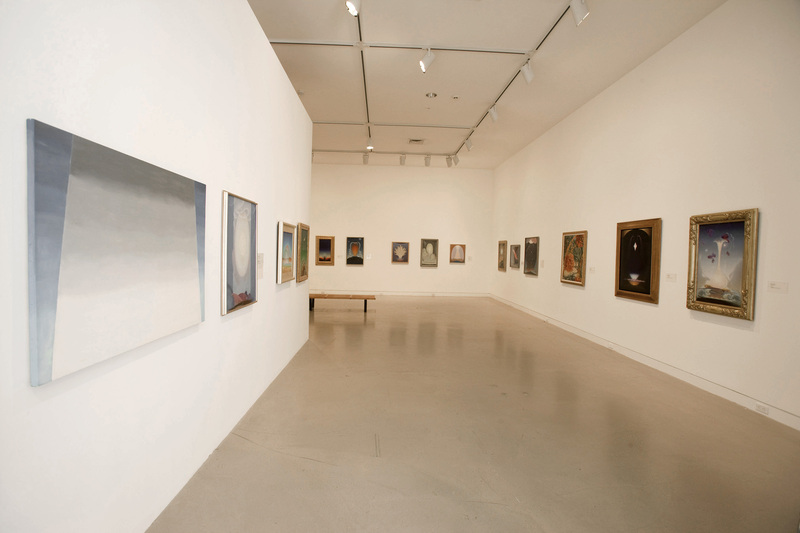 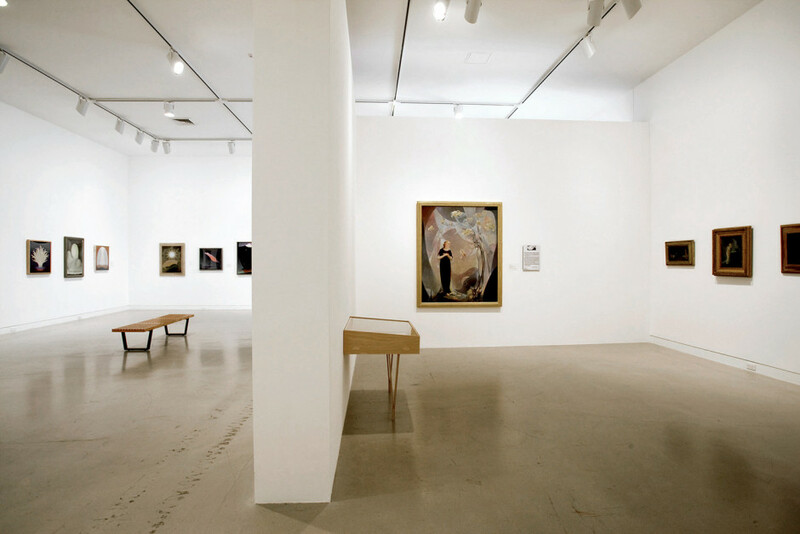 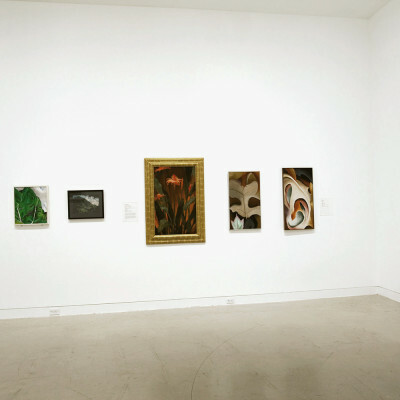 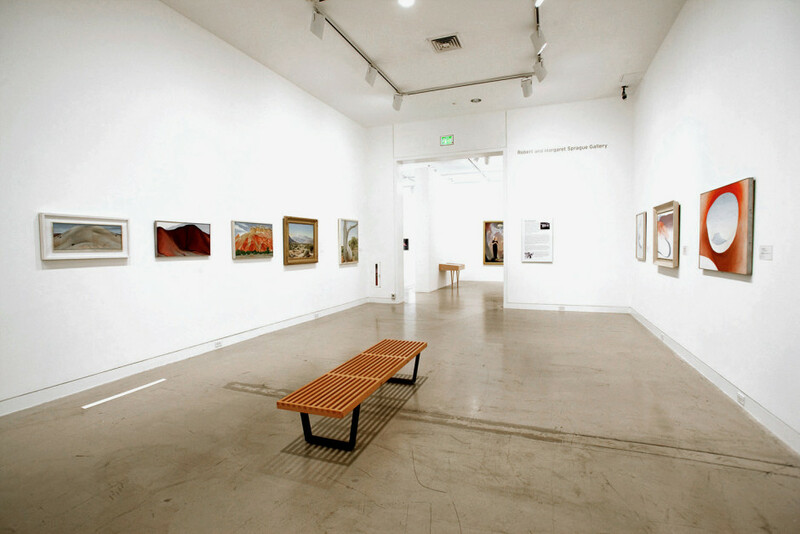 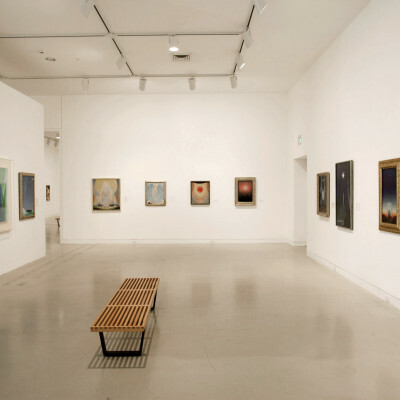 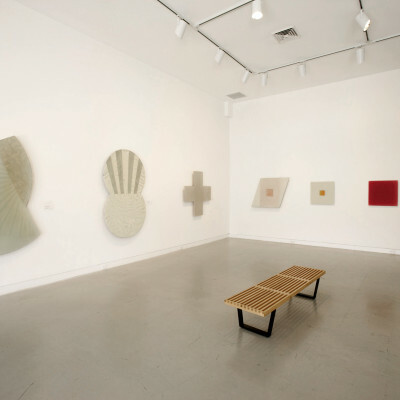 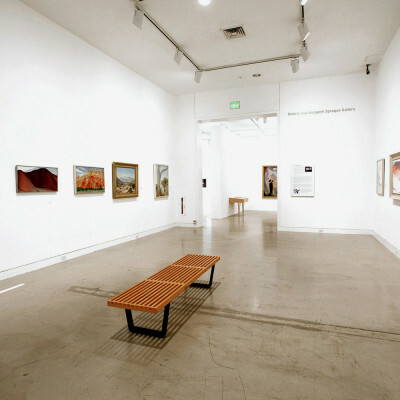 The subsequent galleries featured a broad range of work by each of the four artists, from the early stages of their careers to their later artistic production: Georgia O’Keeffe’s paintings of flowers and trees, visionary landscapes of New Mexico, and later works that continued her ongoing dialectic between abstraction and realism; Agnes Pelton’s early, “imaginative paintings,” her abstraction in the mid-1920s and the mystical canvases inspired by the California desert that she painted until the end of her life; Agnes Martin’s drawings from the late 1950s, her delicate explorations of the grid in the 1960s and 1970s and the mature phase of her geometric, minimalist vocabulary and Florence Pierce’s early works on paper from the 1950s and 1960s, her first experiments with resin on Plexiglas in 1980s that develop into her sublime monochromes that she painted until her death. 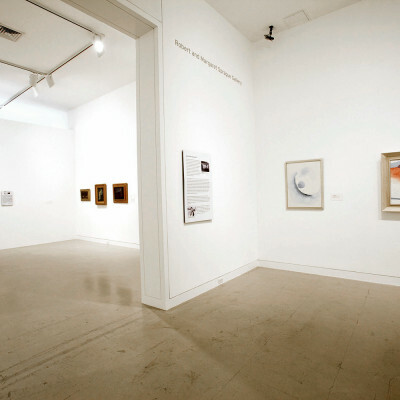 The 208-page catalogue, co-published with Merrell of London and New York, has approximately 75 color images, 25 black and white images, and a biographical chronology of the four artists. 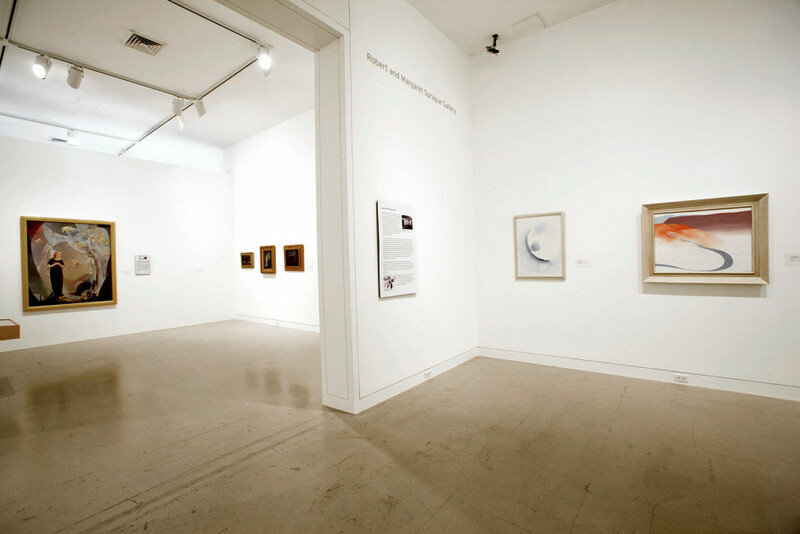 It will include an introduction by the museum’s Curator of Collections, Karen Moss, with additional contributions from Dr. Sharyn Udall, a New Mexico-based scholar and curator who has written on Georgia O’Keeffe and the Southwest; Dr. Michael Zakian, curator of Agnes Pelton, Poet of Nature and director of the Frederick Weisman Museum at Pepperdine University and Tim Rodgers, who curated an exhibition of Agnes Martin and Florence Miller Pierce at the Museum of Fine Arts, Santa Fe.